We are enrolling for Fall 2019. Call 503-644-8407 to schedule a tour or information about current openings! 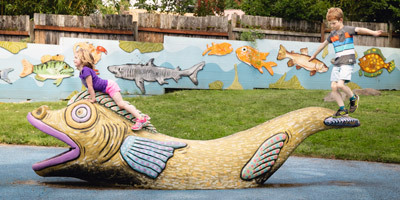 An accredited, play-based kindergarten and preschool in Cedar Mill. 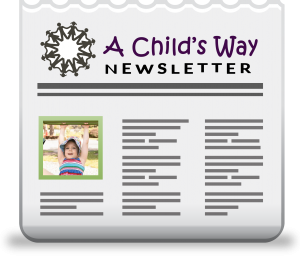 A Child's Way Kindergarten-Preschool has served young children and their families in Portland for over 35 years. We are a preschool and kindergarten serving the Cedar Mill, Cedar Hills, Rock Creek, Forest Heights and Bethany area in northwest Portland. We offer a variety of classes for preschool ages 2-4, Pre-K and a half-day Kindergarten program. Register now for the 2018-19 school year. 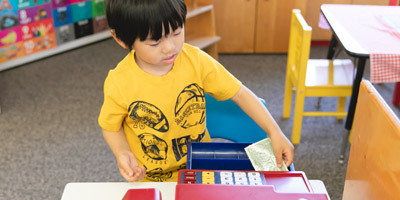 Our developmentally based curriculum utilizes a multi-sensory, hands-on approach to learning. It is planned around the whole child. 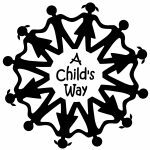 A Child’s Way Kindergarten-Preschool has been accredited by The National Academy of Early Childhood Programs (NAEYC) since 1997. We believe that helping children learn to accept what is beautifully unique about themselves and others is of primary importance. Our curriculum utilizes a multi-sensory, hands-on approach to learning. It is planned around the whole child. Our playground includes a play structure, boat, covered sandbox, covered play area, bikes and scooters, many child-created art pieces, raised planter beds and playhouses. The teachers do a great job helping the kids with resolving social conflicts and communicating their emotions. The curriculum is well designed. Good balance of creative playtime, learning and outside play time. When we moved to this area 3 years ago, everyone kept recommending A Child's Way. It clearly had a solid reputation, because they've worked hard to create a healthy, play-based atmosphere for kids. Well organized, strong communication, and the teachers are amazing. Amazing school. Amazing teachers. If you have wee ones, check it out. Enroll them. Thank me later.